Belagavi, Jul 7, 2015: Karnataka government today announced pay hike in the range of Rs 5,000 to Rs 35,000 to its doctors, with an intention to attract more doctors for government service. The monthly salary of MBBS or BDS qualified doctors with six years experience has been increased from Rs 54,989 to Rs 59,989, with six to 13 years experience from Rs 63,620 to Rs 68,620, with 13 to 20 years experience from Rs 73,569 to Rs 78,569 and with 20 years from Rs 87,649 to Rs 92,649. The hike is effective today, Health Minister U TKhader said making the announcement in the Assembly. 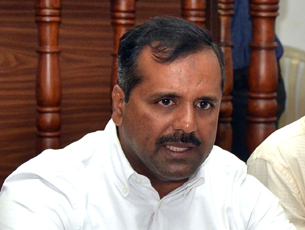 Khader said for doctors with post graduate degree or diploma qualification with 6 years experience, the pay has been increased from Rs 59,780 to Rs 84,780, with 6-13 years experience from Rs 70,166 to Rs 95,166 and with 13-20 years experience from Rs 87,919 to Rs 1,12,919. For Super Speciality Doctors with 6 years experience, the pay has been increased from Rs 62,980 to Rs 92,989, with 6-13 years from Rs 72,466 to Rs 1,02,466 and those with 13-20 years from Rs 84,319 to Rs 1,19,319. BJP MLA C T Ravi questioned why pay has not been hiked for Ayurveda Doctors. "Their salary also should be increased, if not it will lead to discrimination. We will have to support Ayurveda, whole world is turning towards Ayurveda," he said. Responding to this, Khader said, "I will look into it."